WATERLOO – Weather can be an unexpected equalizer. In modern markets, where trading firms spend generously to gain a speed advantage over their rivals using high-frequency trading strategies, some traders become faster than others. But is this kind of marketplace optimal? 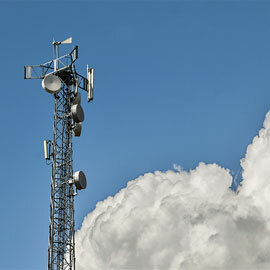 The study demonstrated that precipitation resulted in temporarily removing the speed advantages of the fastest traders by disrupting their microwave networks. These “shocks” to the network were noted to happen almost daily over the years of the study. During these weather episodes, adverse selection declined, thereby creating a more equal playing field, while also improving market liquidity and stability. Limiting “speed differentials” – unequal access to fast trading strategies – between traders showed positive market outcomes that regulators could use in the future to create a more stable, liquid market. While high-frequency trading has garnered bad publicity over the past few years, Shkilko emphasizes that there are many positives to high-frequency trading and automation in the marketplace, but that some strategies have to be looked at critically and carefully. “The issue is very complex and the solution that seems obvious hasn’t necessarily resulted in the expected outcomes,” said Shkilko. The study has already received the Best Paper in Market Microstructure award from the Northern Finance Association and will be presented at the National Bureau of Economic Research Conference, the leading nonprofit economic research organization in America, before being submitted to a peer-reviewed journal. Watch the video (study referenced at 4:28).